Here's your one-stop shop for everything at CCD! 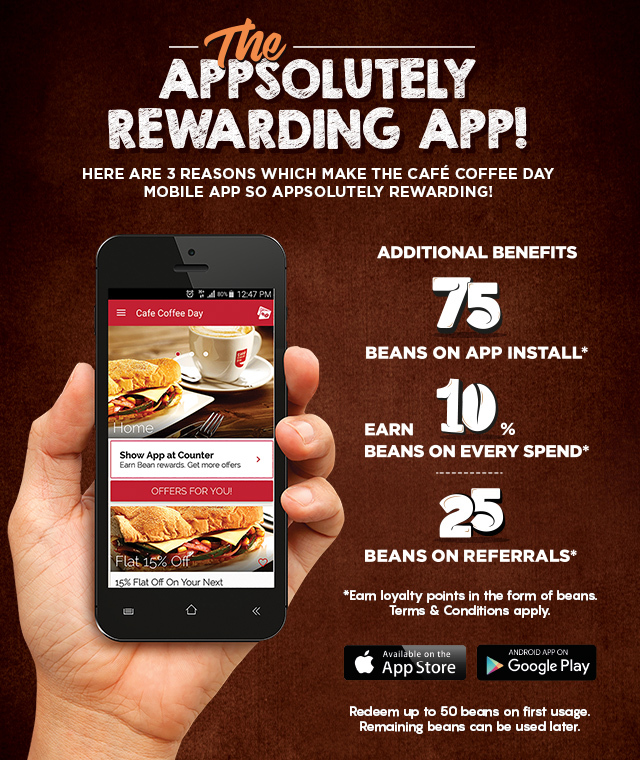 Download our new app, get personalised offers, pay with your phone and earn points on every spend at the cafe. Also, get a friend to download the app and receive a top-up on your wallet! Now available for Android & iOS users across India.